These wonderful spacers from Aaron Basha will help you create the perfect charm bracelet or necklace. 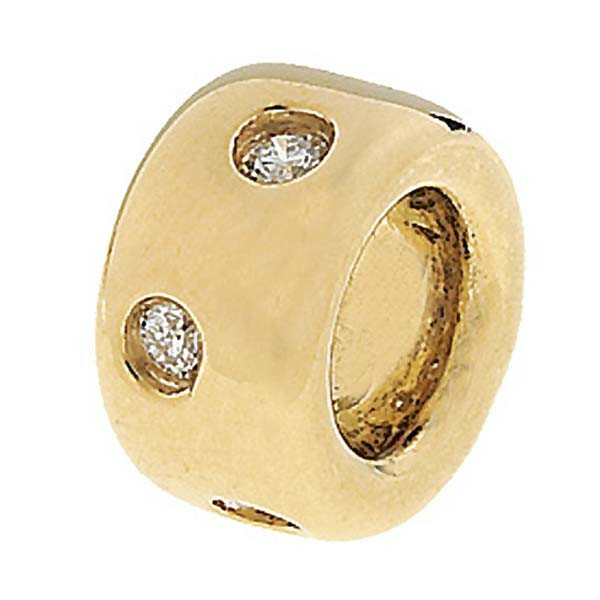 The 18kt yellow gold spacer is dappled with diamonds and will keep your charms from banging together unnecessarily. Aaron Basha gives you a stylish way to enjoy your charms.